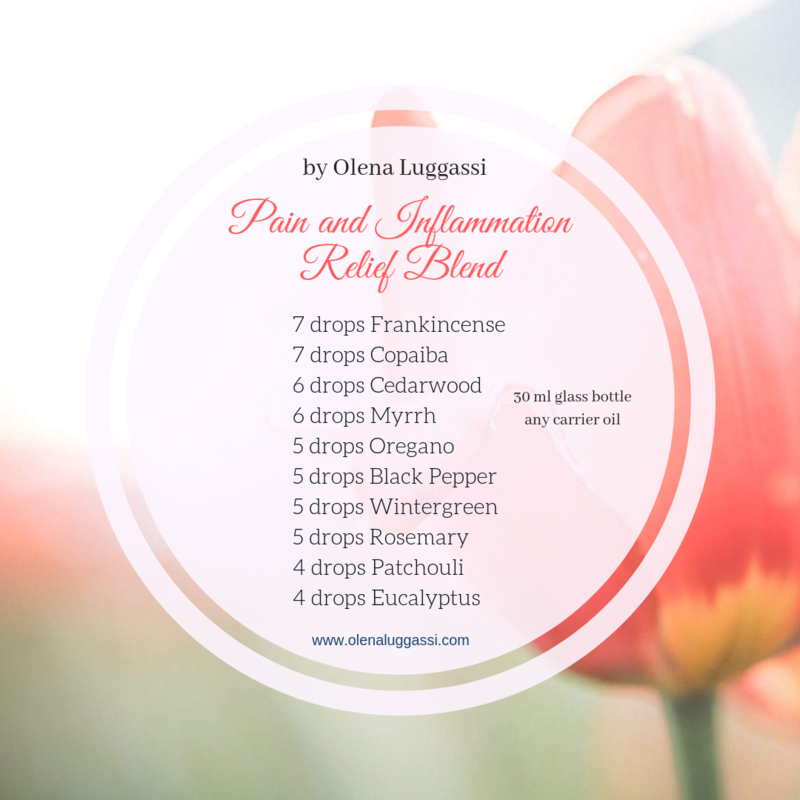 Read the medical research and the benefits of using Essential Oils for pain and inflammation here. 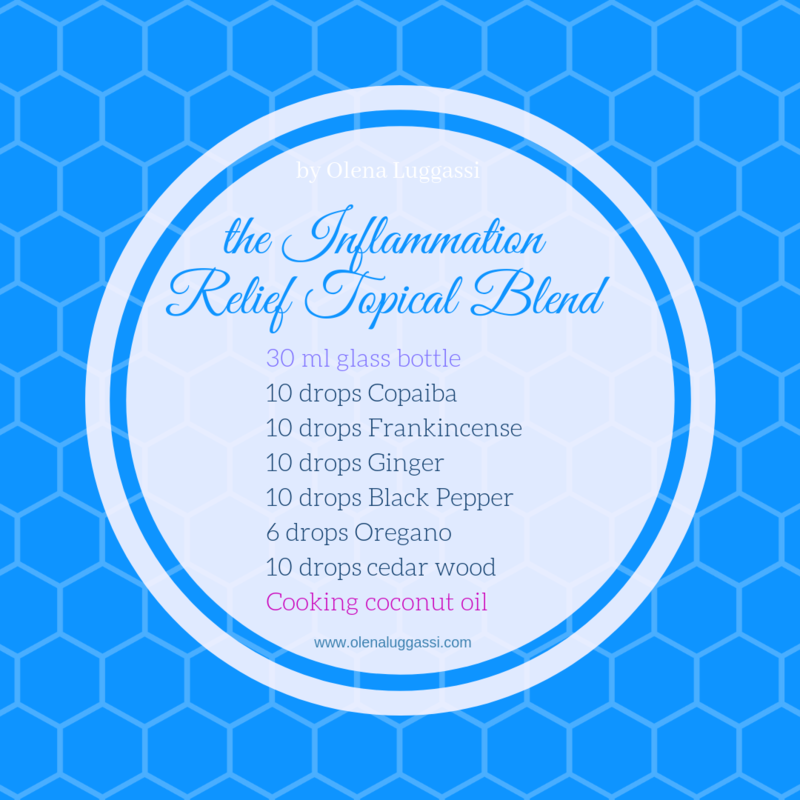 ​Blend all the oils together and apply the anti-inflammatory blend on sore joints twice or more a day. Seasonal allergies are caused by the body's inability to adapt to changes in the environment. While some of us may thrive with the onset of the spring season, it is also known for bringing on sneezing, watery eyes, swollen sinuses and discomfort for those who do not adapt easily. ​An allergic reaction begins in the immune system.The immune system then overreacts to the allergen, which is really a harmless substance, and produces Immunoglobulin E antibodies. These antibodies travel to cells that release histamine and other chemicals, causing the allergic reaction. 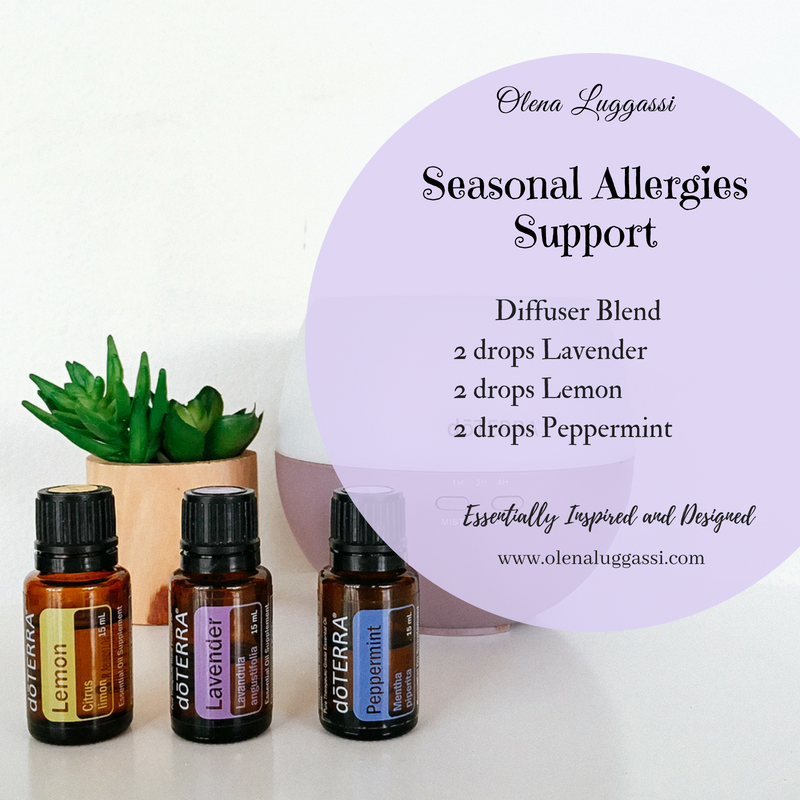 Essential oils with antihistamine, anti-inflammatory and anti-allergen properties can help reduce uncomfortable symptoms so that you can enjoy the changing seasons. People who suffer from allergies are often told to avoid triggers, but that is nearly impossible when the seasons are changing and our immune systems are impaired by the food industry and environmental toxins. Thankfully, some powerful essential oils act as a natural and safe way to treat the symptoms of allergies and boost our immune systems. These essential oils for allergies have the ability to chemically support the body and help it to overcome hypersensitivity. Peppermint, lemon and lavender when diffused on a regular basis will help to reduce pollens and allergens. I made this “Keep me safe with On Guard” roller bottle for my daughter Anastasiya who was flying to Norway in winter. On Guard is a bloody amazing blend of essential oils that contains Wild Orange Peel, Clove Bud, Cinnamon Leaf, Cinnamon Bark, Eucalyptus Leaf, and Rosemary Leaf/Flower essential oils. Chocolate and essential oils? Why not? I take a drop of Frankincense doTerra essential oil every day. I found it tastes really great with a piece of dark chocolate. Known as the king of essential oils, Frankincense has a variety of notable uses and benefits. This powerful essential oil is revered for its ability to beautify and rejuvenate skin when applied topically, and to promote cellular health and immunity and produce a healthy inflammatory response when taken internally, among other benefits. With all of its many uses, there is no question as to why Frankincense was highly esteemed by ancient civilizations and used for the most sacred of practices. “Frankincense can inhibit the production of key inflammatory molecules associated with conditions like arthritis, asthma, painful bowel disorders like IBS and many more conditions. 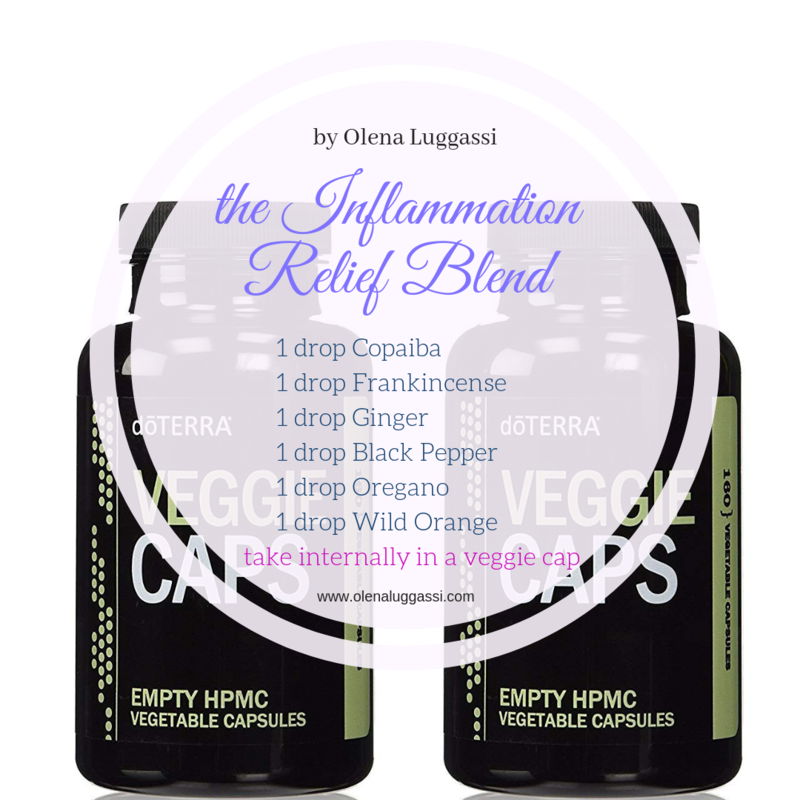 It can be useful in helping prevent the breakdown of the cartilage tissue and has been shown to significantly reduce levels of dangerous and painful inflammation, making it a natural treatment option for pain-related conditions that affect the muscles, joints and tendons. You are made of cells. You body is made of over 37 trillion cells. Each of these cells has a certain lifespan and will eventually die and be replaced by a new cell. This is a normal, natural process that facilitates the renewal of the body. WHAT you EAT and what you DRINK and what you APPLY on your SKIN will be ABSORBED by your cells. ✔️safeguarding your DNA. Your DNA is stored within your cell in the nucleus, and your cell has many ways to keep it safe. 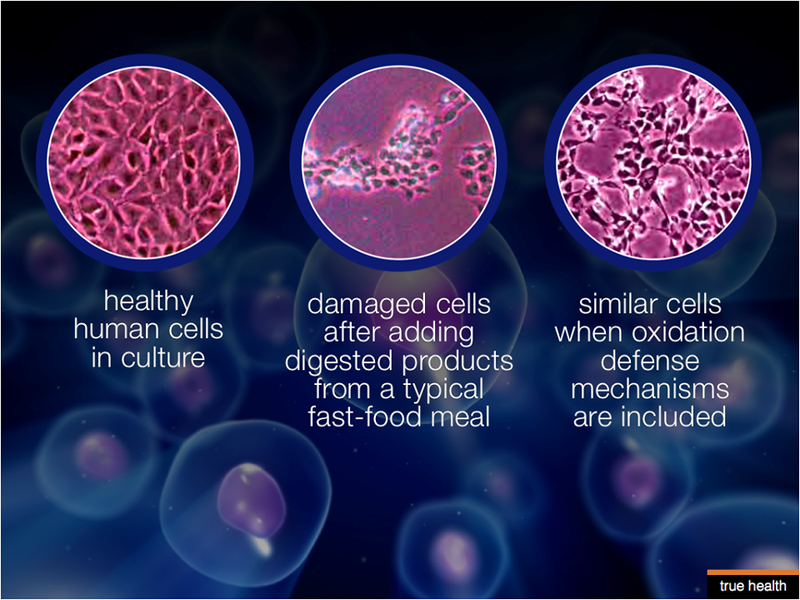 What Can I Do to Support Healthy Cellular Nutrition? Eat foods that nutritionally support your cell's membranes. Provide your body with foods rich in antioxidants. Provide key nutrients for mitochondrial support and energy production. Reduce intake of foods to which you are allergic or intolerant. 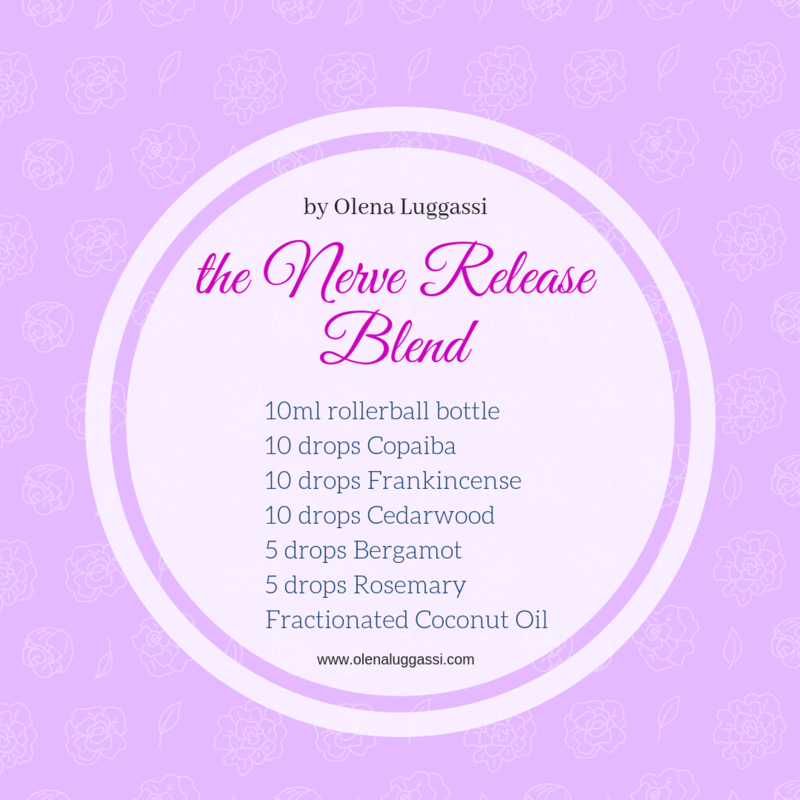 This is one of my fav blends that I use daily. The plant oils work successfully within the human cells. ​We can take the doTERRA plant oils internally and topically (always check which oils you can take internally).